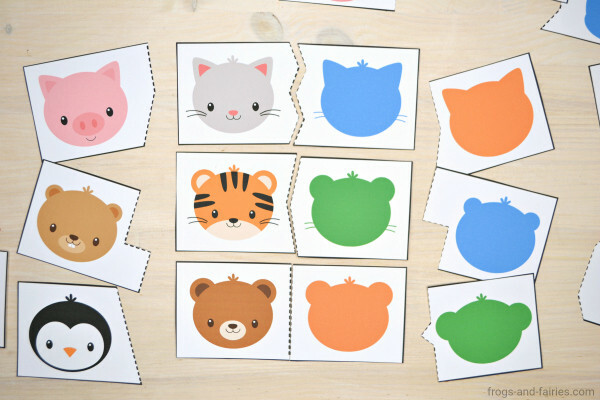 This is a fun animal shadow match printable activity pack for preschoolers to practice visual discrimination skills! 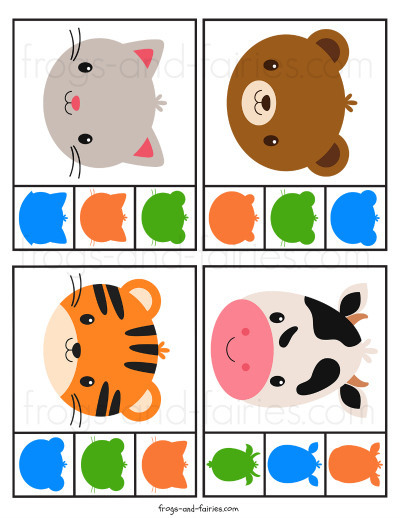 This printable PDF includes 14 pages of 24 puzzles and 24 clip cards with adorable animals. 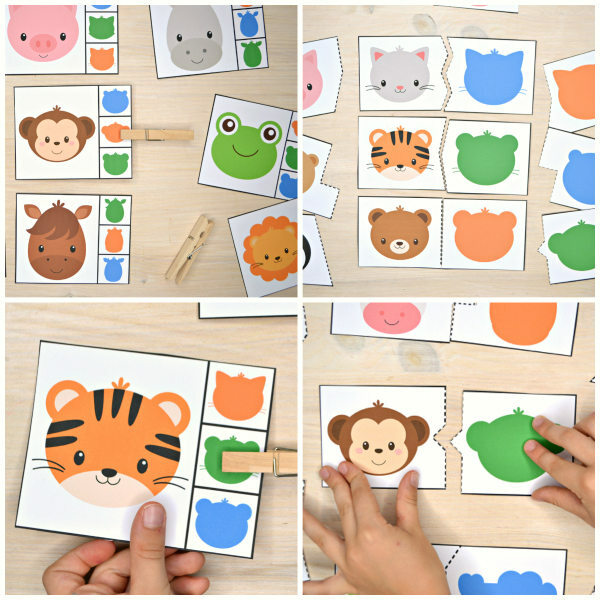 This PACK includes a lot of different puzzles and clip cards with pictures of animals and their shadows! 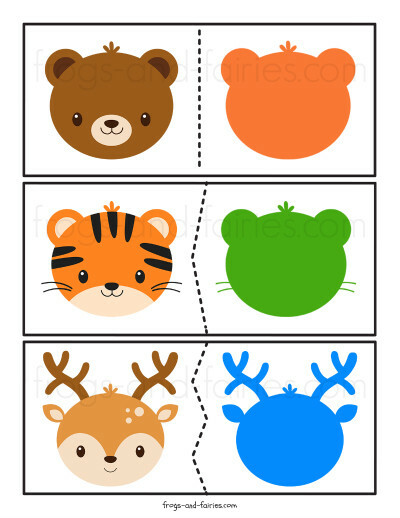 Your kids will match the animal to it’s shadow! Each puzzle has a different line that connects the two pieces together, making the puzzles self-correcting. 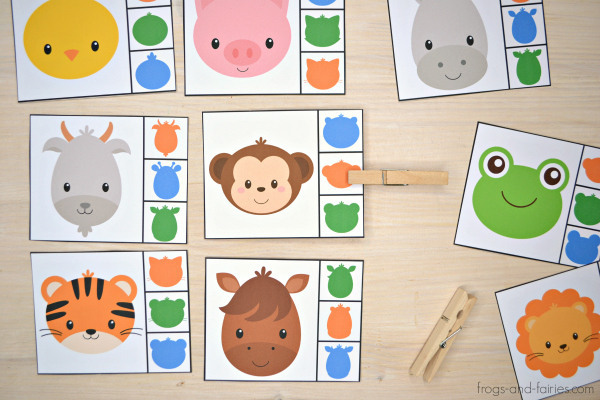 Because of the similar shapes of some animals, the kids will have to pay attention to details in order to put two matching puzzle pieces together! Each clip cards includes 3 choices to choose from. 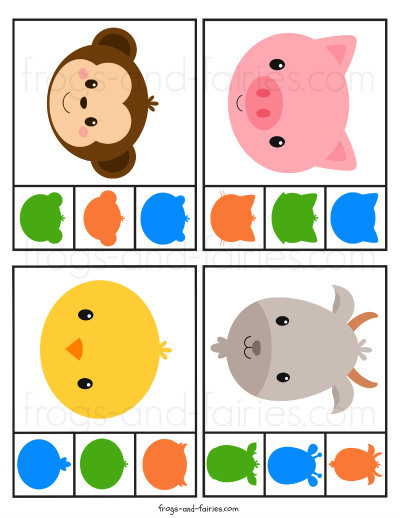 Your little learners need to match the animal with the matching shadow on the bottom and place a clothespin or another object on the correct answer for each card. 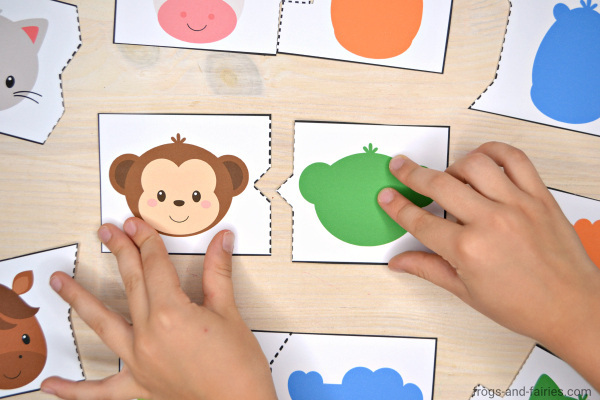 To make this activity even more beneficial, you can write the correct answer onto the back of each card and the cards will also be self correcting! 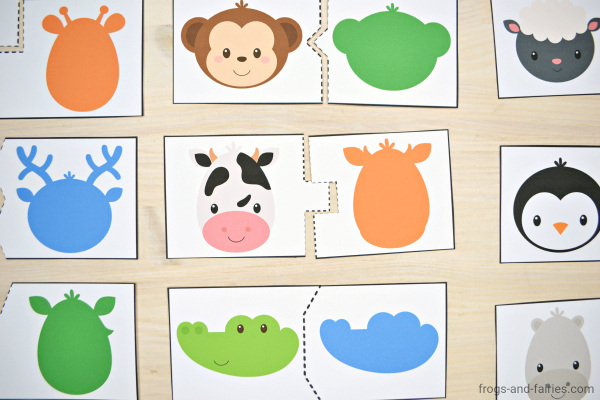 TO PREP: Print out the clip cards and puzzles. Print on cardstock for more durability. Cut them out. 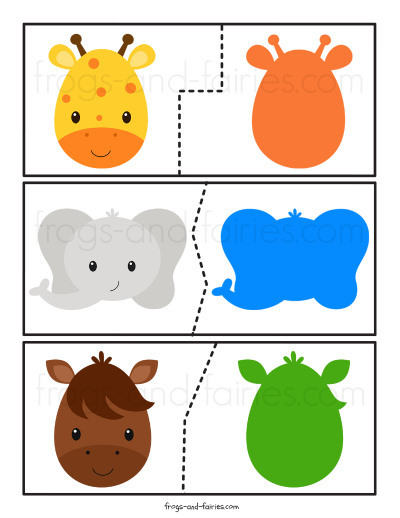 TO PLAY: Let your kids match animals with matching shadows. Have fun!